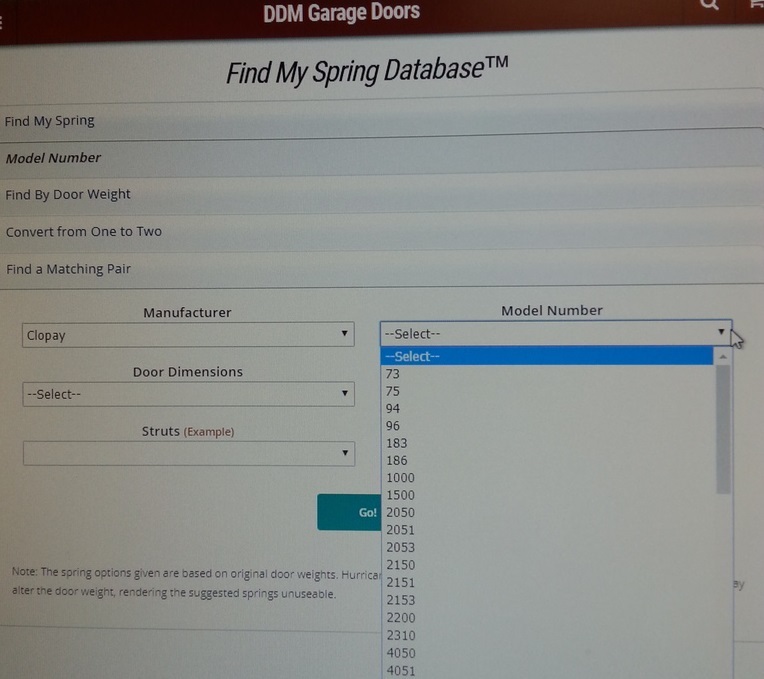 If you have a garage door made by Clopay Building Products Company, Ideal Door Company, or Holmes Garage Door Company, you may be able to use the model number, PID number, or serial number to determine the door weight so you can select the proper replacement springs. 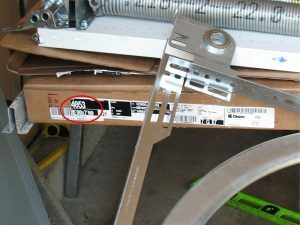 Finding the label that contains these numbers may save time and energy that you would otherwise spend measuring the springs or weighing the door. However these labels can be difficult to find. Here are some helpful tips. 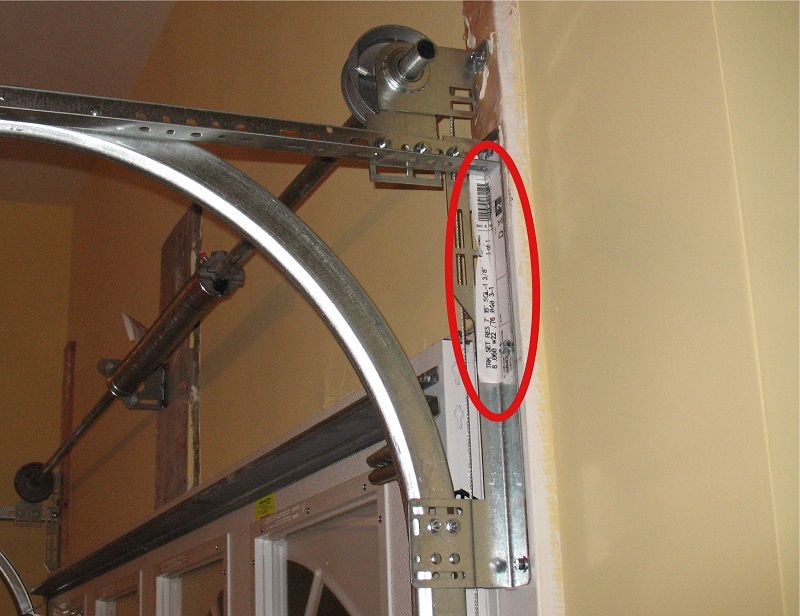 A garage door has three dimension: width, height and thickness. 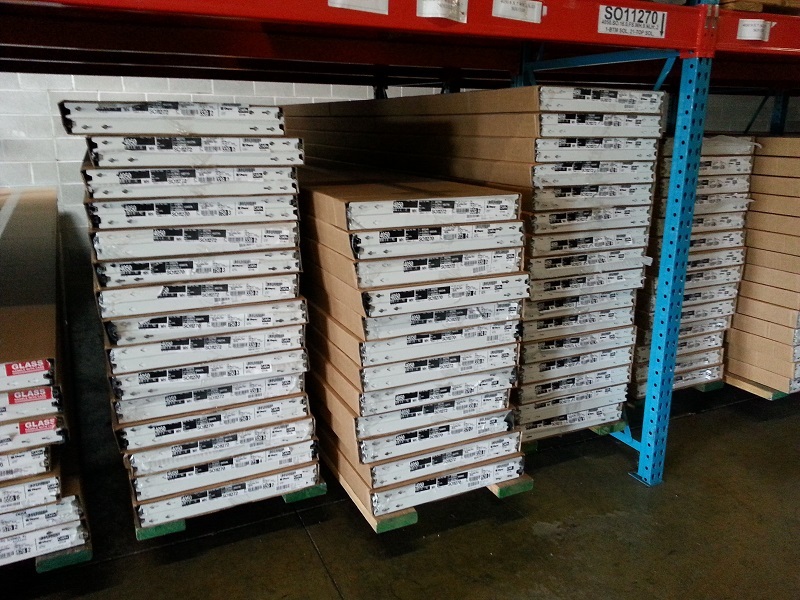 Labels with the model numbers are normally found on the thickness part at one end of each section. This is for ease of identification when doors are stacked at the factory or distribution center. 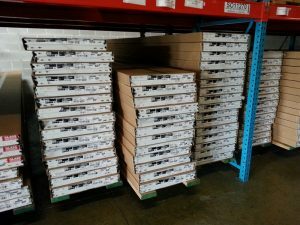 If the installer happened to leave behind the wrapping materials or the door installation guide, you may be able to find your door model there. 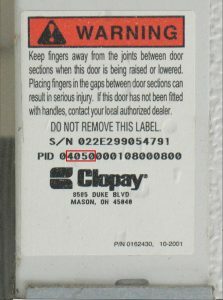 Most Clopay doors have labels placed on the inside of the door, usually at the left end of the bottom or first intermediate section. Sometimes the sticker is at the right end of the door. 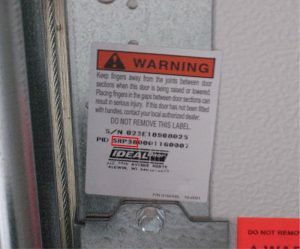 On this label you will find the door serial number. 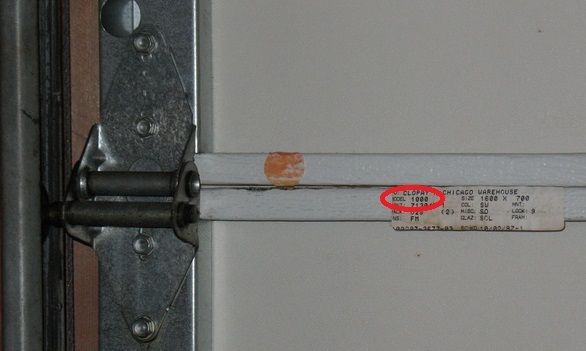 Usually the model number of the door is embedded in the serial number, but on newer doors it is embedded in a separate PID number, as you see in this Model 4050 below. 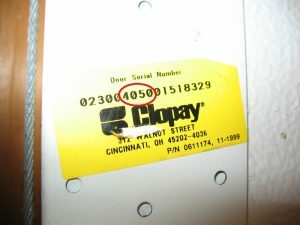 Clopay began using this white sticker with the orange warning label in 2003, and the company still uses it. 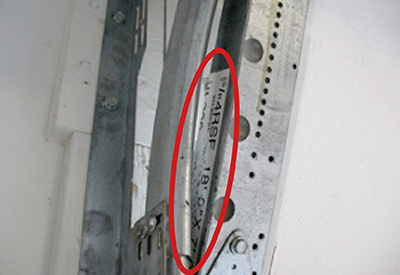 The serial number, designated as “S/N,” usually has 12 numbers with an additional letter. 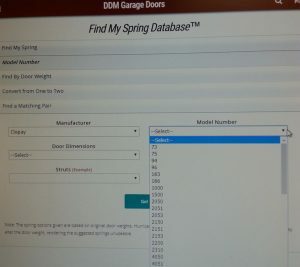 The PID number has 17 letters; it includes both the model number and the door size, here “8000800,” designating a door that is eight feet wide and eight feet high. 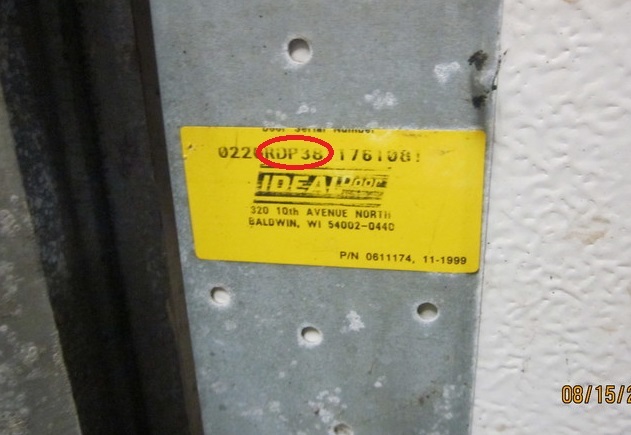 The yellow sticker shown below was used from about 1998 to 2003. The serial numbers during those years contained 16-18 digits. The model numbers are usually located in the middle of the serial number as you see here in this model 4050. 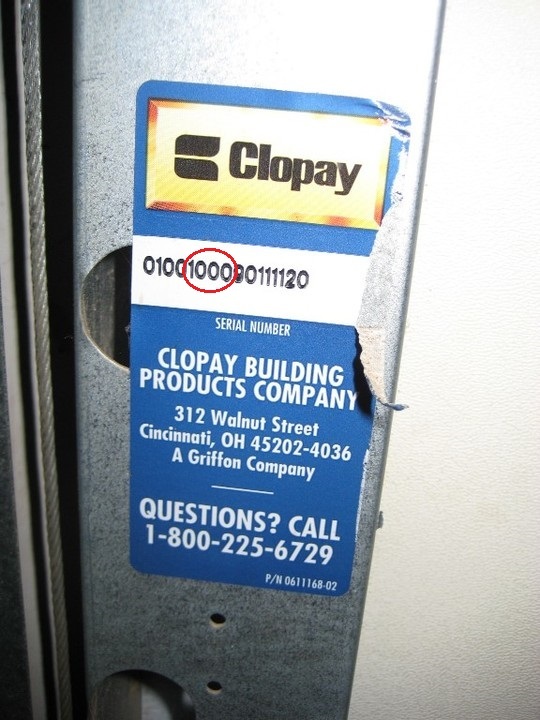 Before 1997 Clopay used blue stickers on their doors with 15-16 digits in the serial number as you see in this model 1000. 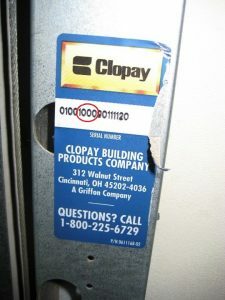 Over the years Clopay has used a number of other stickers, such as this white label stuck to the top of an intermediate section. Identifying labels will also be found on flag brackets which support the vertical and horizontal tracks. 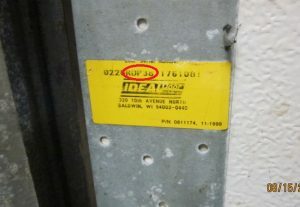 Ideal has used a variety of stickers over the years. As with most manufacturers, labels are stuck to one end of each section as we see here with the door partly open on this S/R 4RST door. 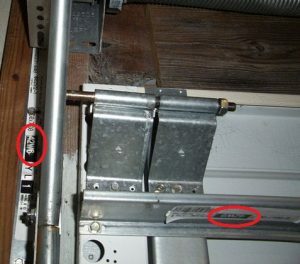 If you are unable to open the door, look behind the lower vertical track with a flashlight on both sides of the door to find this label. The 3-6 digit model number should be listed as a standalone number. Ideal also uses labels mounted on the inside face of the sections, similar to what is found on Clopay doors as you can see on this model R6R4 garage door. Many of the Ideal doors have long serial numbers just as Clopay has. 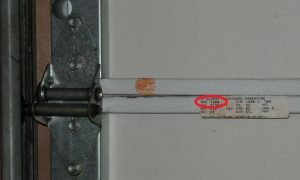 Below you can see the model number RDP38 embedded in the serial number. 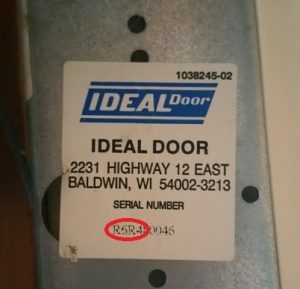 Newer Ideal doors have the longer serial numbers and PID numbers as is visible on this model SRP-38 door. As with the Clopay doors the serial number, designated as “S/N,” usually has 12 numbers with an additional letter. 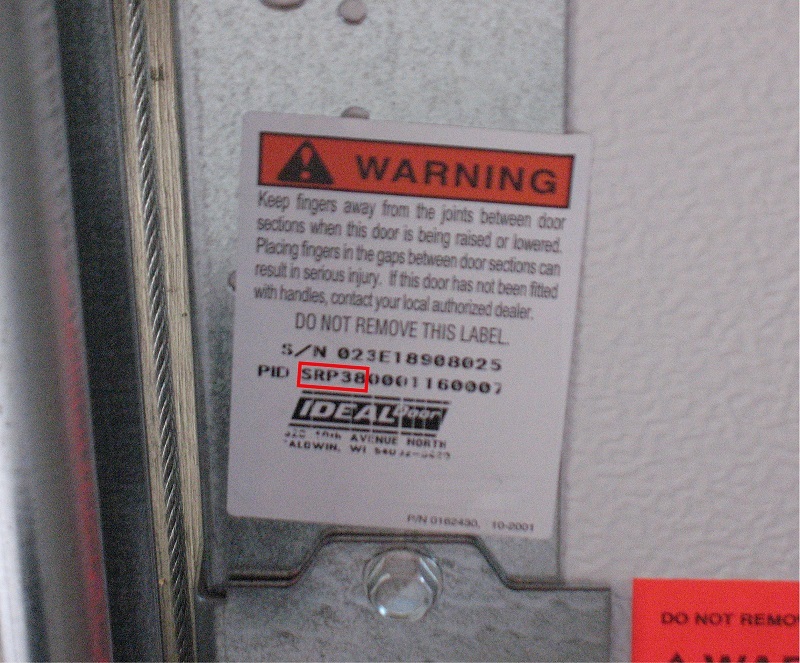 The PID number has 17 letters; it includes both the model number and the door size, here “160007,” designating a door that is 16′ feet wide and eight feet high. Similar to Ideal Door, Holmes labels list a standalone model number. And like Ideal or Clopay, a Holmes label may be stuck to the flag bracket or on one side of the reinforcing strut if there is one. 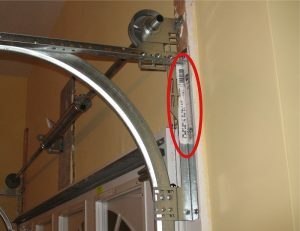 IMPORTANT: If you live in Florida or along the coast, you may have a wind rated door as you see above. The “W6” after the model 42 designates a wind code rating of six. Clopay, Ideal and Holmes all use similar wind code designations, but their part numbers will be different. If you find a long part number, if there is no PID number, and if you can’t identify the model number, look in the middle of the part number and check one of our pages where we offer springs by model, manufacturer and serial number. On our Standard Torsion Springs page, for example, you will click “Model Number” and then select the manufacturer. After that, click the draw down menu and find your model number in the list. The model numbers in the list above have between two and four digits. 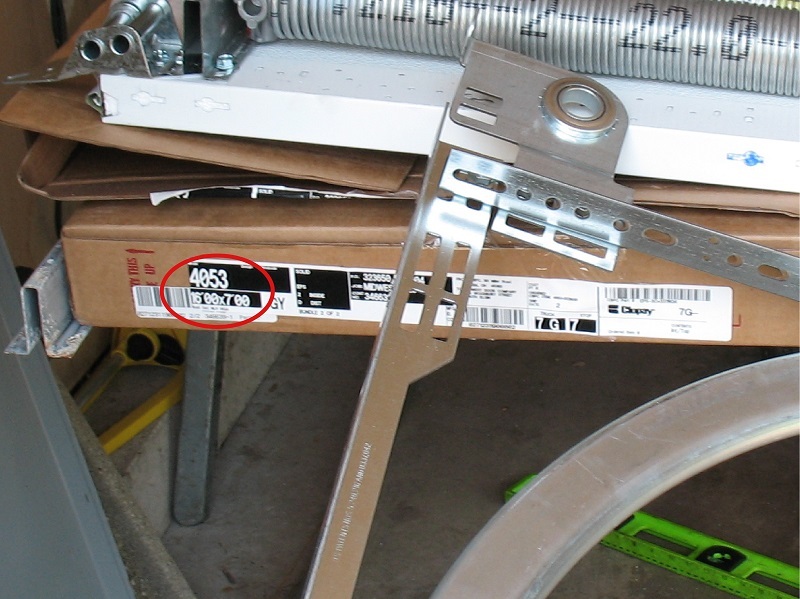 Look for these digits in the middle of the long part number on your garage door. On rare exceptions you will not be able to find the number on our list because some models were in production for only a short time. If you need help please contact us.